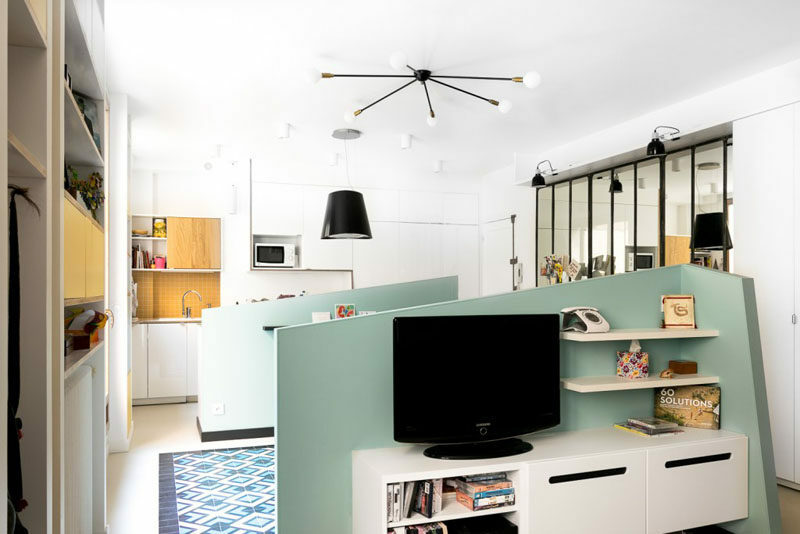 When MAEMA Architects were designing the renovation of a small 538 sqft (50m2) apartment, they decided to make the living, dining, and kitchen areas all open, but to provide some separation, they designed two angled half walls that wrap around the kitchen and living area, essentially creating three separate areas. 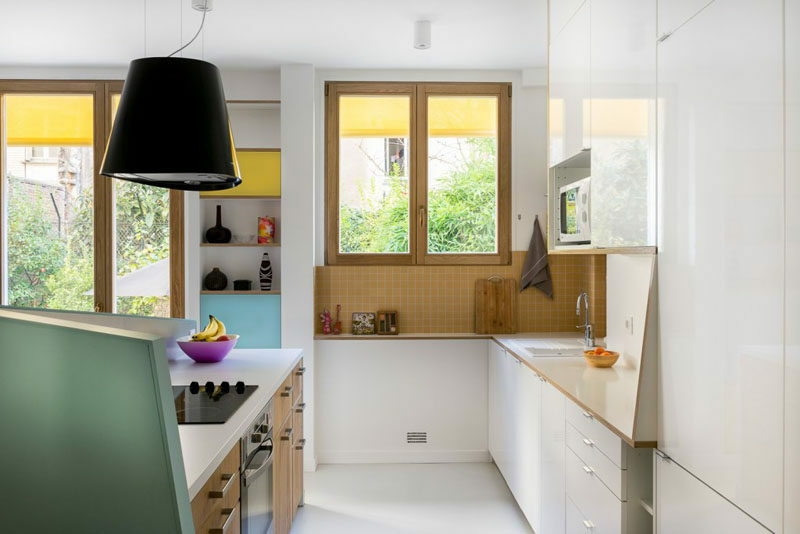 In the kitchen, the half wall hides the cooktop but doesn’t completely cut off the kitchen from the rest of the space. 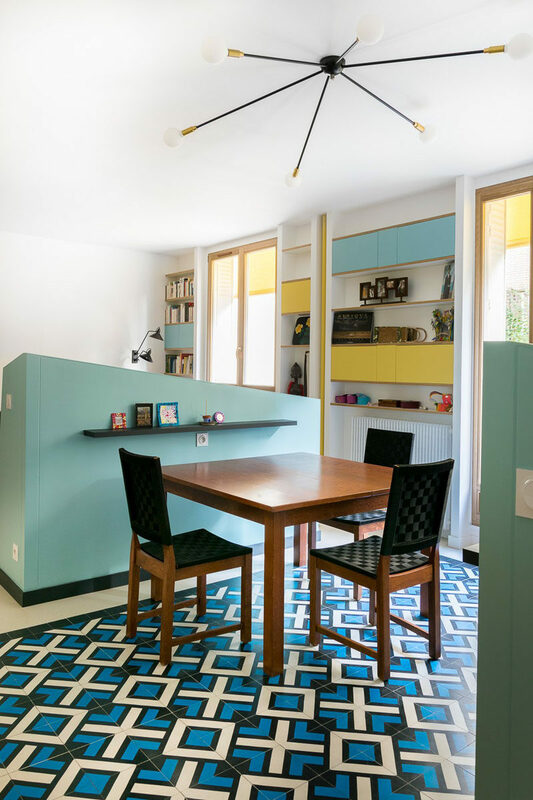 The dining room is positioned between the kitchen and living room, and the half wall enables a small floating shelf to be hung. 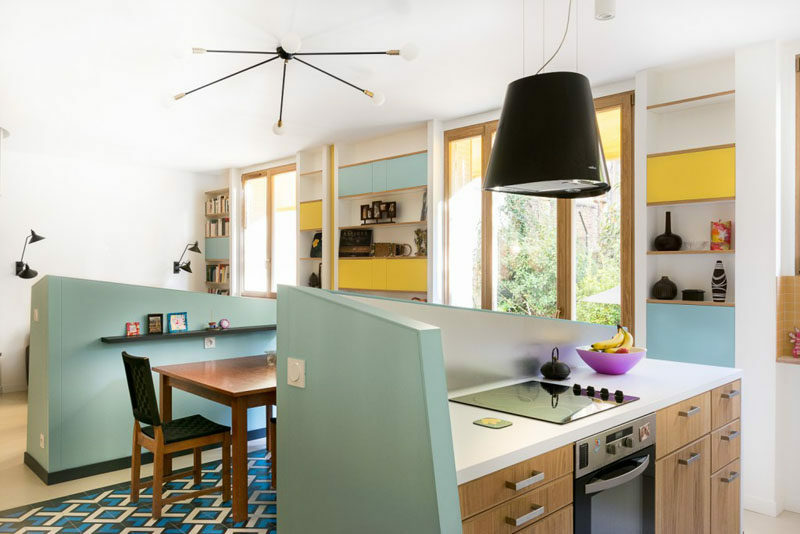 Decorative floor tiles and a sculptural light fixture also help to anchor the space. 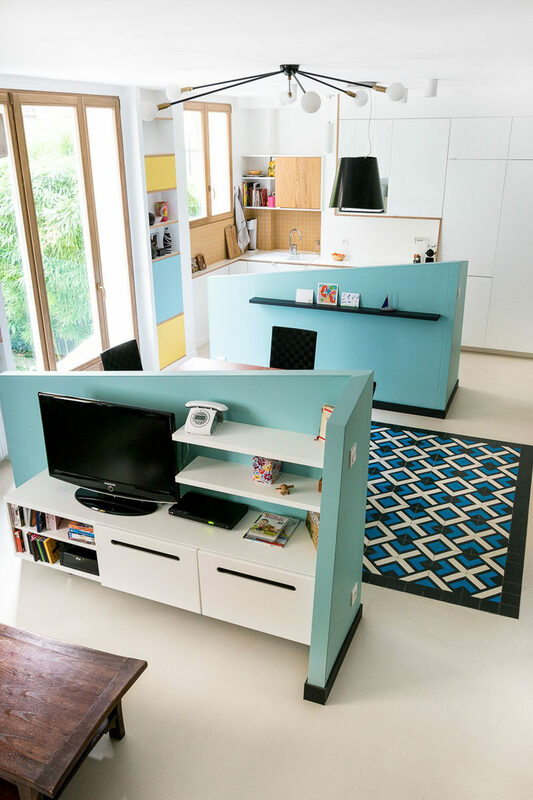 In the living room, the half wall becomes a space for the entertainment unit and some shelves.